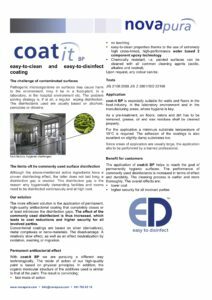 We have developed a range fo high quality coating products for professional use. The products have all in common the following features. Products, which claim to be easy-to-clean are widely available on the market. 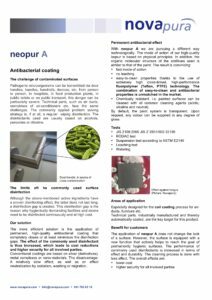 They are commonly used in hygienic challenging environments, such as food-industry, hospitals, pharma production, med-tech etc. 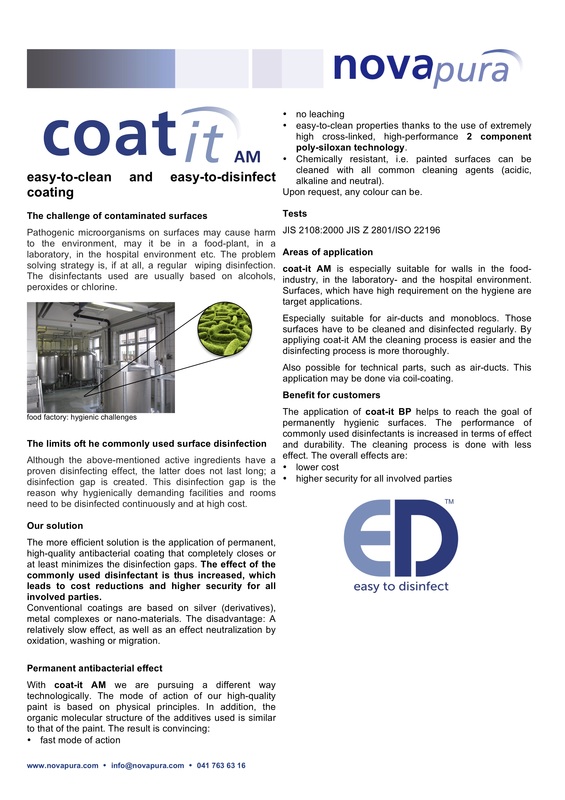 The surface density and structure hinders dirt to attach the surface and therefore the removal is much easier, resulting in cost of the customer. The benefit of the customer is an economic one and one, wich affects EHS (environment health and safety). Economic: less disinfectant will be used. 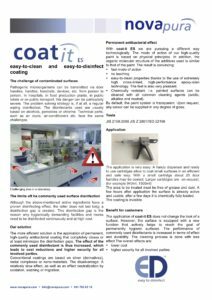 EHS: since the surface is disinfectant during a longer time period the disinfection gap may be closed or at least brought to a minimum. 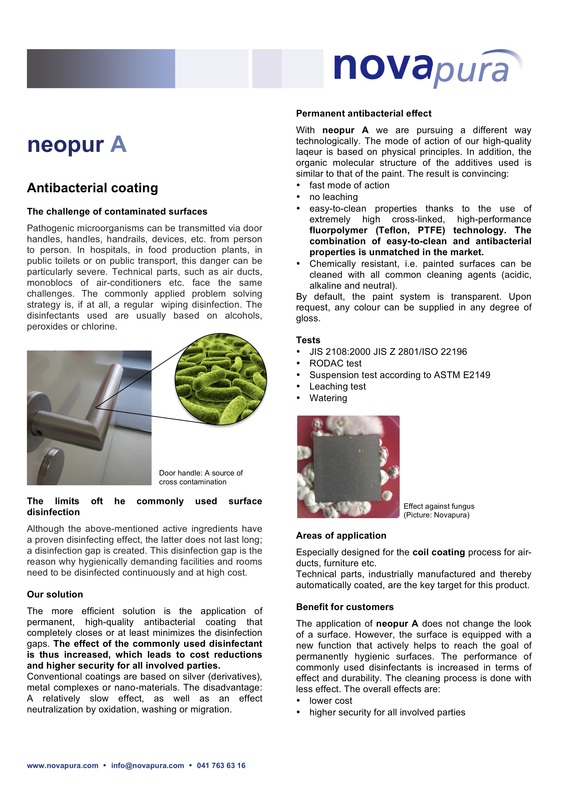 The result is a reduction in cross contamination incidents. 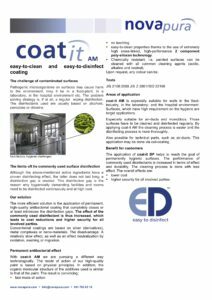 Apart from the widely performed rolling, spraying and coli coating, we have some very interesting ways of applying the coating. It is easy-to-apply! contact us for more information. Below you will find a list of products, for different areas of applications. 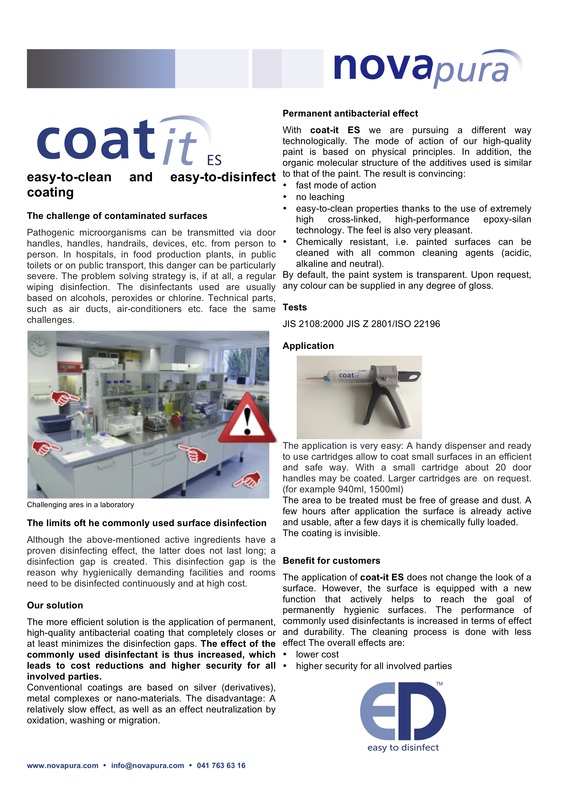 Antibacterial coating based on fluoropolymer technology (Teflon). All colours available, also transparent Especially developed for coil coating applications. 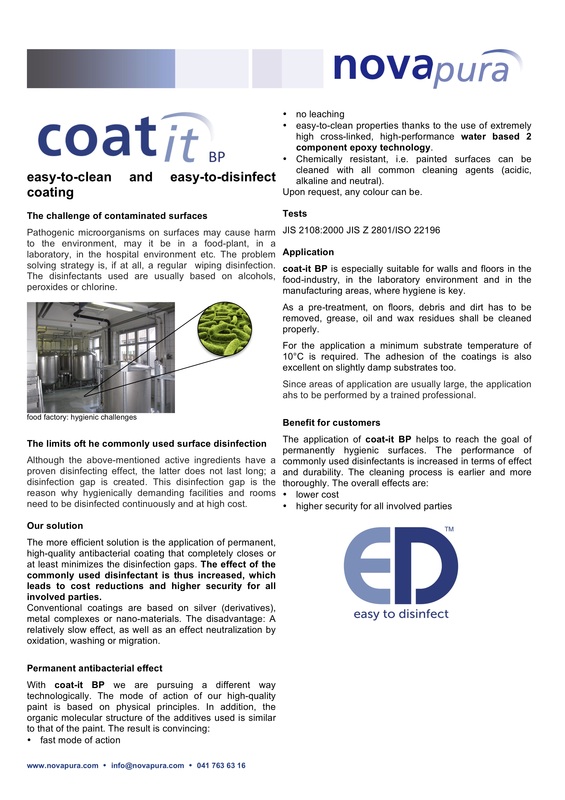 Easy-to-apply coating for door handles, hand rails, small areas in hospital environment, laboratories etc. We will answer any questions regarding application, performance and features, if you call us on +41 41 763 63 16 or write us an Email.